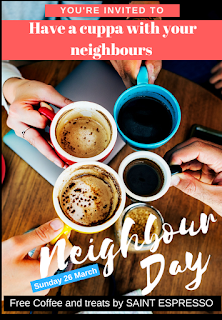 Come along to the City of Unley Neighbour Day events on Sunday March 26. The day will involve activation of three locations in the style of mini pop up events. 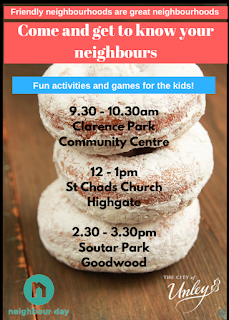 They are Clarence Park Community Centre, St Chad’s Church at Highgate, and Soutar Park at Goodwood. These events are intended to create fun and relaxed environments for local residents surrounding each location to get to know each other. 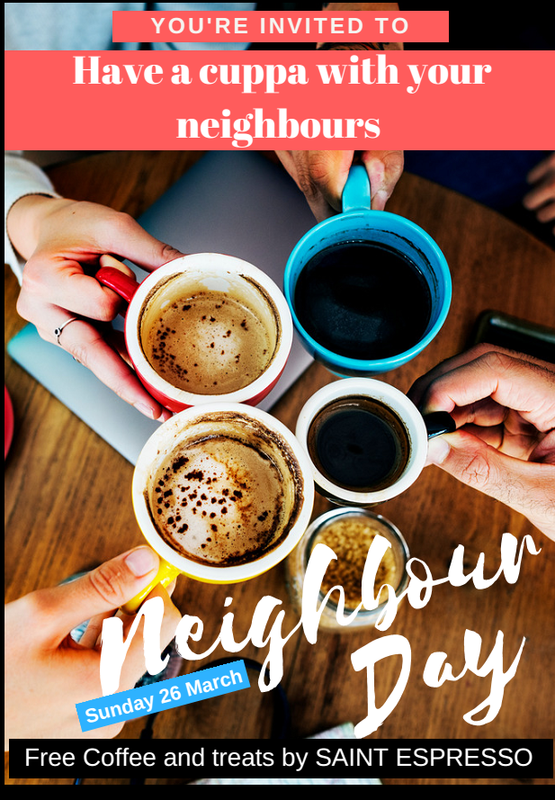 There will also be some opportunities for participants to continue fostering relationships with their neighbours after the day.